Morgan GRP Ltd has recruited a leading change management expert to help them implement an ambitious expansion plan, which aims to see the Group Company double its turnover within three to five years. Andrea Evans joins the manufacturing group as their new Senior Head of Change and Compliance, at a time when their Group Managing Director, Martyn Ingram, has announced an aggressive expansion plan and a recruitment drive. Andrea, who is based at the company’s Llandybïe site, said: “Martyn, the Directors and all the company employees have worked hard and strived to ensure that Morgan GRP Ltd has achieved significant success and accomplishment – The company has almost doubled its turnover in the last three to four years – at a time when Britain was in the grip of recession. The group’s turnover is now approaching £21 million. In recent years Morgan GRP Ltd has been recognised within the Top 100 Companies in South West Wales, 15th in the Top 50 Most Profitable Companies in Wales, within the Top 50 Largest Employers in South Wales and most recently the company was listed as one of only two Welsh firms within the prestigious Sunday Times Profit Track 100. Andrea, who spent many years working for Alcoa, based in Swansea, and more recently at The Prince’s Trust, said: “It is my remit to evaluate procedures in a business, ensuring that the company continues on its successful trajectory. Some MDs might baulk going on record with such explicit figures and ambitions, but Martyn Isn’t your average MD. He and many of the company’s other senior staff started at Morgan Marine Ltd in his tender years, on the shop floor, working his way up through the ranks before buying the company in 2003 and steering it towards its eye-watering success. He said: “As a company and as a workforce we are very proud of our achievements to date and we are resolved to build upon those achievements. But moving into the next stage of a firm’s life takes bold thinking. These changes include setting up an Enterprise Resource Planning (ERP) management system, which will integrate all applications across the group, to manage the business and to automate many back-office functions relating to IT, services and HR. 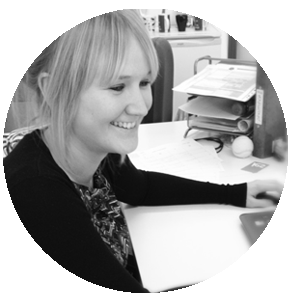 Andrea will also carry out detailed assessments of any skills gaps so they can be met by training or by tailored recruitment.